Get the party started with the Mariner! 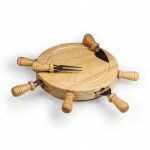 Designed to look like a ship's helm, the Mariner is a great gift for those who love boating. 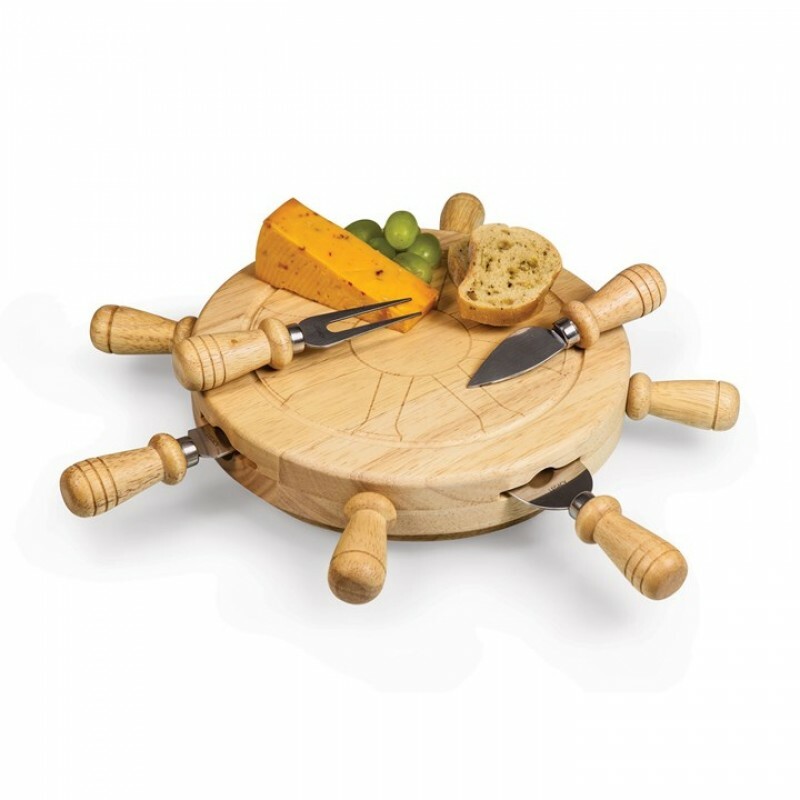 Four cheese tools are secured in magnetic slots evenly spaced on the side of the board, their wooden handles resembling those of a ship's helm. Four stationary handles on the side of the board help to _steer" the helm as the board rotates like a mini lazy Susan. Let the Mariner set your party in motion.